Display your favourite photos from the big day in this perfectly designed 'Mr & Mrs' photo album. 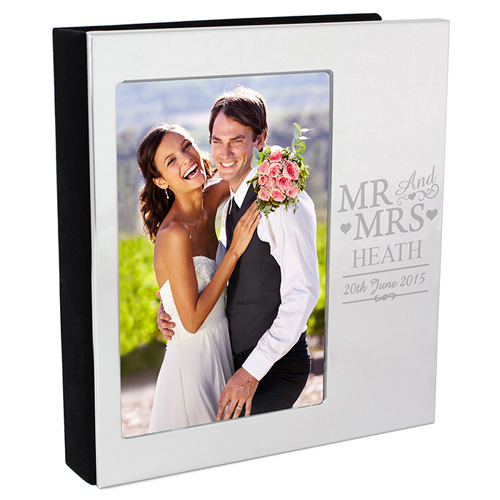 Personalise this Engraved Mr and Mrs Photo Album 6x4 with a surname up to 12 characters and a date up to 20 characters. The surname will appear in upper case Holds 48, 6 x 4 photos (24 pages). \nPersonalise this Engraved Mr and Mrs Photo Album 6x4 with a surname up to 12 characters and a date up to 20 characters.